Nite Owl was falling behind again. It was the third time this week, already with one fewer patrol than there should have been. The temptation was strong to simply run ahead, but they were chasing two targets. He could catch one himself, but not both. If not for the need of his now-limited help, it would have been an easy choice to leave Nite Owl behind – would serve him right for not taking enough care to shake off whatever malady was making the rounds this time of year. There was no excuse; Daniel had no need for a job to keep him away or even expose him to the sick during the day. He had enough money to buy whatever medicine he needed, and his pantry was always well-stocked. He got plenty of sleep – and then some – and yet here he was: Slow, clumsy, and out of breath. Half a dozen times during the past week his coughing had nearly given away their position during reconnaissance. Daniel's excesses were forgivable when he was still getting the job done. Now, they only highlighted his shortcomings. As if to emphasize this, a prolonged stream of wet hacking sounded behind him, much farther back than it should have been. It was no use – their quarry was too far ahead. As they disappeared around a corner, Rorschach growled and turned back, prepared to let his partner know the full extent of his displeasure. It pulled Rorschach up short, and suddenly he could see how badly Nite Owl was struggling for breath. Even in the harsh spills of neon and sodium from the street his face looked pale beneath the goggles. As he neared, Rorschach impatiently waved away his partner's apologies and actually took a good look at him. A small tremor was running through Nite Owl as he looked at his red-spattered glove with incomprehension. His breath whistled in his throat, and now that Rorschach was this close, he could see Nite Owl's costume looked too loose on his frame in places. He stiffened, clenching his fists. "What's wrong?" Nite Owl lifted his goggles to wipe at his eyes. "I don't know." He was struggling to speak without coughing. "Had the flu – told you last week." His eyes accused, briefly. "Been trying to keep up..." Another cough, even worse. It went on, making Nite Owl stagger away from the wall and forcing Rorschach to catch him before he fell. "Can't – can't breathe –" A thread of panic was in his voice now, and more blood flecked his mouth. They were done patrolling; this wasn't something that could be ignored. They were in an alley – good, because it offered some protection from passers-by, but bad because they needed to get back to the Owlship safely. They had to get to a roof. Quickly, Rorschach pulled out his grappling gun. "Nite Owl." He shook his partner's shoulder, bringing the gun into view. "Sure of cable strength?" Comprehension briefly lit Nite Owl's features and he managed a nod. Rorschach began scanning the four- and five-story buildings around them for anchor points. "Call Owlship. Can you hold on?" Nite Owl nodded again, but not quickly enough. Growling, Rorschach thought and then reached for his partner's utility belt for the zip-ties he kept for restraining criminals. Ironically, their poor patrol meant there were enough to loop together into makeshift ties between Nite Owl's belt and the knotted belt of Rorschach's trench coat. It would only buy them a second or two if it came to that, but it would have to be enough. He finished securing them together and another cough jolted through both of them, forcing Rorschach to prop up his heavier partner. When it subsided, he lifted the grappling gun and fired, watching as the hook cleared the wall's capstones and caught. "Hold on. Tightly." Nite Owl gripped the other side of the gun with one hand and hooked his arm across Rorschach's shoulders with the other. His weight pulled at them and Rorschach grunted with the effort of supporting both their weight as they ascended, but the cable and his grip held. They snagged and nearly slipped for one brief, sickening moment near the top. Nite Owl's arm clenched around him and their legs scrabbled at brick, trying to gain purchase. Rorschach grit his teeth and concentrated on holding on, and they finally gained the last few feet to the capstones. Nite Owl's gauntlet flew from his grip on the gun to gain a handhold while Rorschach's boot braced against a jut of stonework above a window, and somehow they managed to haul themselves up and over the side. Nite Owl's coordination was lost in another coughing fit and he dragged them both down into an eight-limbed heap. Snatching the crescent blade from Nite Owl's belt, Rorschach cut their improvised tethers and pulled free. His partner barely noticed, lying where he'd fallen and gasping like a landed fish. "Up." Rorschach grasped his partner's wrist, waiting for him to take hold. "Nite Owl, can't carry you." Slowly they staggered up, and made it into the airship. Once there, Rorschach lowered Nite Owl into the copilot seat – steadfastly ignoring the strangeness of having him there – and punched in the emergency piloting code that Nite Owl taught him years ago. The ship lurched upward, and he made himself sit in the pilot's chair as they traveled. He would have preferred to stand, but the Archimedes in Emergency Mode was more about speed than comfort, and he risked sliding into a bulkhead otherwise. Nite Owl was sagged into his seat, barely looking up. 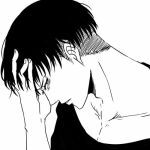 The coughing had subsided somewhat now that he was sitting still, but his breathing was still too rapid and he was wincing with each inhale. They descended to the river, and the jolt of the Archimedes hitting the water caused a grunt of pain as Nite Owl's body was thrown against the safety restraint. "Need to – iron that out a bit...sorry." He winced again as the ship's thrusters braked hard for landing in the tunnel. Rorschach was already struggling free of the pilot's chair. "Got us here. Good enough." They stumbled out into the Owl's Nest where Nite Owl collapsed onto a bench. Mechanically, he began stripping off the layers of his costume. Rorschach watched as this normally perfunctory task exhausted his partner, saw him flinch in pain despite the lack of injury on his now-exposed torso. An attempt to pick up his t-shirt made Daniel's hand suddenly clutch his chest, and Rorschach surged forward. "Upstairs." He grabbed the rest of Daniel's clothing and wrapped an arm around him, pulling him up the steps. "Now, Daniel," Rorschach cut him off and opened the kitchen door, ushering him to a chair. Setting the t-shirt and sweatpants on the table, he turned to face his partner. "Hollis Mason's phone number. What is it?" Out of breath from being hauled up the stairs and looking worse by the minute, Daniel recited the number as Rorschach dialed. The line rang two, three times. Then Mason's voice, hoarse with sleep but alert with a policeman's instincts. There was a pause, and then all trace of sleep was gone from Mason's voice. "Who is this?" Rorschach twitched briefly, thinking of wire taps and knowing how unlikely they were, but hating the possibility of them all the same. "Daniel's partner. He's very ill, at home. Cannot-" He couldn't finish the sentence. Rorschach's free hand clenched into a fist. Of course Mason would suspect a trick. He should suspect one. Setting his jaw, he searched for an answer. "Daniel is fond of Arthurian legend. Reads the Gazette. Speaks highly of you. Made a gift for me that I still carry." "...All right. I'm on my way." There were numerous unspoken threats in that sentence, and the line went dead. Rorschach hung up the phone and turned back to his partner, who had successfully finished dressing. The already loose-fitting clothes looked a size too large on him, and his skin was pasty white. "Gave you... third degree?" Daniel managed a lopsided smile. "Hrnh. Right to be suspicious. Observed good security measures." Daniel's smile faded, and he just stared at Rorschach looking... sad. Rorschach shifted, burying his hands in his coat pockets. "What?" "...What happened to you, man?" The sadness deepened, started looking like pity, and Rorschach suddenly felt all the anger he'd felt at Nite Owl's shortcomings come rushing back. "You used to – I dunno, you... used to talk to me." Daniel's breath whistled unpleasantly in his throat. "Now you're... I can't..."
"Am fine, Daniel." Rorschach spat the name like an insult. "Have priorities in proper order." He paced the length of the kitchen as Daniel's expression darkened. "What's that supposed... to mean?" Rorschach's hand stabbed toward him. "Haven't taken care of yourself. Have every advantage, no reason you can't maintain fitness, and you let-"
"Wh-? You're blaming m-" Daniel's outrage drowned in a heaving cough – one that rocked him into the table and left red spatters on the formica. That silenced the argument, leaving Rorschach to work his hands in and out of fists while Daniel's back bowed with the effort of breathing. The knock at the front door made them jump in unison. Daniel actually tried to get up, but Rorschach held up a warning hand. "Don't move." Daniel glared up at him. "So what, you're... just gonna answer the door? He doesn't know you." "Can't be helped." Rorschach turned as the knock sounded again and headed for the front of the brownstone. He stopped in the front room, glancing out the window before going to the front door. He stayed behind it as he pulled it open, closing it quickly as Mason entered. Rorschach noted Mason's defensive stance and the telltale outline in his front coat pocket with approval, and kept his hands within view. "...In here, Hollis. It's ok." The weak voice turned both their attention to the kitchen door where Daniel held himself up. "Danny?" Mason's hand came out of his pocket and he strode quickly to the younger man's side. "Good God , I don't think it's 'ok' at all – you look like hell." Rorschach rejoined them, herding Daniel back into his chair. "Breathing wrong. Coughed up blood." "Blood?" Mason's frown turned to Daniel, who nodded reluctantly. "You weren't hit? Nothing from patrol?" "No," Daniel and Rorschach answered in unison. Rorschach bridled at the idea he'd let Nite Owl come to harm like that, but knew the necessity of the question. Daniel sat quietly under his mentor's scrutiny, his face drawn. He coughed weakly, wincing. Mason's face was grim. "We need to get you to the hospital – this is bad." He took a step back. "Danny, I'm going to call for an ambulance." Rorschach must have given some reaction, because Mason quickly turned to him. "This isn't something for a cab, especially not at this hour. I was lucky to get the one I got." "How will you explain being here?" Daniel stirred. "Hollis is... a family friend. We visit all the time." "Which has the advantage of being the truth," Mason nodded. "Hrm. Will have to do." Mason looked around them, businesslike. "We need to make sure things look right before they get here..." An idea lit his face and he headed for the refrigerator. "Here we go." He rose, holding up a bottle of beer. "Lucky thing you had these ready for Saturday – here." He handed one to Daniel. "Take one swig, if you can." He followed suit with another one, then took Daniel's back and gave them both to Rorschach. "Dump these and one more down the sink, and then flush water down the drain. Put those in the living room," he indicated the two bottles, "and then make it look like we've been visiting in there. Hopefully, they'll be too busy with Danny to take a good look around, but EMTs have detective's instincts – we need to be careful. Which reminds me -" He turned back to Daniel. "Do you have any older injuries you'll have to explain?" Daniel thought with some effort. "I don't think so. Worst case...I can say I got mugged, or got... injured on a trip." Mason nodded. "I'll try to back you up, if I can." Turning, he picked up the phone and dialed while Rorschach went to set the living room. The bottles went on the coffee table, their residual condensation settling onto coasters. The morning's newspaper was on an end table; he grabbed the front section, opening and re-folding it a few times before setting it on the coffee table as well. The couch had only one indentation in it so he sat on the other side, pressing the throw pillow into the cushions. Mason's voice filtered in from the kitchen, giving directions over the phone. There were only a few minutes left to prepare. Looking up, he took note of a few owl-shaped curios in the room and tensed. They might not be noticed, but with Mason there... He pocketed a small figurine and rearranged books and picture frames in front of two others, just in case. "They're on their way," Mason came in, giving the room an approving glance. "Turns out I knew the dispatcher from the old days; she's making sure they hurry." The two of them returned to the kitchen where Daniel still sat, forlornly watching their flurry of activity. He fixed Rorschach with a look that was equal parts apology and apprehension. "Be c-" Another bout of coughing cut him off, but Rorschach nodded. "You too." He shifted his weight for a moment before reaching a hand out to his partner. Daniel clasped it in his own, then reluctantly let go. "Better... get going, man." Rorschach nodded, looking briefly to Daniel's mentor. "I'll ride with him." Mason placed a gentle hand on Daniel's shoulder. "Come to my garage tomorrow night. I'll leave a window open in back for you." The faint wail of a siren made them all look toward the front door. Rorschach took one more look at Daniel - pale, weak, and nothing like Nite Owl in this moment – then strode to the back stairs and shut the door to the Nest behind him with the double snick of the locks following. "Hollis –" Daniel's voice filtered through the door, its fearful tone stopping him mid-step. "Hollis, promise me you'll take...care of him." He didn't hear the answer, and then a rapid knocking sounded at the front door. He heard voices, hurried footsteps. Questions, quickly answered. Daniel coughing, gasping. Urgent voices and more footsteps, all of them, slowly receding. The front door closing. The ambulance siren, fading. Rorschach stood outside the warehouse that hid the tunnel to the Owl's Nest, his hand turning and turning the owl statue he'd hidden. There was still time left to patrol, at least a couple of hours. The night wasn't going to wait, so he headed North toward one of the seedier neighborhoods. He was rewarded with a mugging-in-progress, and from that point what remained of the night was filled with brief, satisfyingly violent takedowns. Even alone, he was well able to strike fear into his enemies just as he'd done in the beginning. Still, it could have been faster; he could have covered more ground, found more targets, if not for what happened. Dwelling on it was useless, though, so he did what he could. The sky was paling with dawn, taking away the dark corners where he and the scum he hunted moved. There was no daytime job demanding his time, not anymore, but there was still work to be done. He would leave the streets for now and his disguise would suffice until night fell again. He reached his window just as the earlier risers were making their way to work. Fortunately for him, they were too sleep-addled and numbed by routine to bother noticing anything around them. They certainly weren't about to look up, where they would have seen a masked man swinging from a fire escape to a nondescript window and slipping inside. He changed his clothing in the dark, not betraying his presence with a light. The owl figurine was still in his pocket - he debated taking it out, but it was safest where it was. He tucked it under the subway map he kept in that pocket and left it there. Carefully he folded everything into a neat, tight bundle, and secured in its hiding place. That done, he resumed the disguise that made him disappear from the public's view. It was unpleasant, but necessary – there was no better way for him to reach the places that needed watching and see the things he did without being noticed. He took a small notebook from behind a loose section of baseboard and sat at the worn table in the corner. The descriptions of their escaped quarry came first; there was still a chance they could be found and it would be worthwhile to continue tracking that gang to its source. He added a few thoughts for a possible future investigation, flipping back through his notes to check his and Nite Owl's observations up to this point. Nite Owl. He debated writing about the incident. More than once his pencil touched the page to begin, but then stopped. It wasn't relevant to the case beyond the delay, and it would be cataloguing a weakness in his partner. It wasn't something he wanted to write about. How long would Daniel be gone? The question struck him suddenly, along with unpleasant visions of the Owl's Nest being discovered, of Daniel's plans and inventions being stolen, destroyed. It was completely irrational – Daniel left the Owl's Nest every night he patrolled, and had any number of security measures in place that likely made it safer than all but a military installation. Possibly even that. Irritably, he pulled the paper to him again. Headlines and notations glared up at him, jumbling into so much noise as he tried to focus on them. Doggedly he scanned them, but the words wouldn't coalesce into anything coherent. All he could see was Nite Owl in that alley, staring at the blood on his gauntlet. ...he jolted awake, images of fire and blood still echoing. It took him dangerous seconds to re-orient himself as he shook free of screams lost in black smoke. The pencil was still in his hand, and a jagged scrawl now marred the margin of one article. Disgusted, he stood up, scrubbing briefly at his eyes with his other hand. An incredulous glance out his window told him he'd slept nearly the entire day away; the sun was already creeping below the top of the skyline. His stomach growled, and he resisted the urge to answer with one of his own. Reluctantly he went to his food stores and found the last few slices of a loaf of bread and a peanut butter jar with a few scrapings left. The bread was stale but not moldy, so he resolutely chewed his way through a meager sandwich as he hid his notes behind the baseboard again. It would take a while to reach Mason's garage. The day was a loss; the least he could do was get dressed and get there in good time. What little warmth the sun had offered was already leaching out of the bricks he climbed up to the roof. There were no clouds, and the wind was picking up. It would be a bitter night. Jumping from roof to roof, he chased the setting sun as it painted the sky in bright reds and oranges against the encroaching purple of evening. His partner would have had something unabashedly romantic to say about the view, he was certain, but Rorschach only calculated how long it would take to be dark enough for ground travel. For once, he found himself hoping he didn't encounter anything along the way. He'd always enjoyed what Nite Owl had jokingly called his "warm-up": Finding and thwarting some petty – or sometimes not so petty – crime before he reached his destination. It was often a game between them, that Nite Owl would have to catch up... He put on a burst of speed, his body on automatic as he dodged chimneys and skylights, leaping across the voids between buildings and clambering along fire escapes. At last the darkness caught up with him and he dropped to ground level in an alley. He had to force himself into a circuitous route, doubling back and wending his way through neighborhoods as though it was any other night on patrol. The delay was infuriating, although the handful of criminals he encountered helped alleviate at least some of the frustration. It was late but still well before midnight when he reached Mason's garage. He'd known its location ever since Daniel first spoke of his mentor, but had never had a reason to come here before now. It was in an older neighborhood, not yet lost to the gangs but not far from it, if the encroaching graffiti was any indication. Dr. Manhattan's work in electric automobiles had done Mason's business no favors, but he was still making a living. He made his way around back to a small yard with waste oil barrels and a few empty crates. The promised open window was on the second floor. A running leap and a large oil drum for a step got him a handhold, and he quickly pulled himself up and into a small back room. There was a light visible through the hallway. The first indication he'd been heard was a low whuffling sound, followed by a quiet "Phantom, stay." He froze for a moment, so suddenly that it sent a tremor through him. His arm felt the memory of impact; he smelled blood, and kerosene. "Need you to speak up, or I have to set Phantom loose." Mason's voice was still casual, but there was a faint edge to it. Something choked out of him at that, and apparently it was enough. "All right, come on in." He rounded the corner to a tiny living room where Mason and his dog – a white German Shepherd – sat. The curtains were drawn and a small fireplace made a pocket of warmth in the surrounding chill. The dog looked up at him with panting mouth open, pink tongue sawing back and forth across its teeth. It whined once. He belatedly realized Mason was watching him as he got up from his chair. "Let's head into the kitchen, shall we?" He motioned the dog to stay, and it settled on the threadbare hearth rug in front of the fire with a sigh. He followed Mason into a worn but well-kept kitchen. He ignored the invitation to sit at a small table, standing behind the chair facing the door. The curtains were closed in here as well. Mason registered his choice, then began without preliminary. "It's pneumonia. And it's serious. They've got him on oxygen, for whatever good it'll do." "Pneumonia?" He had only the vaguest notion of what the disease entailed, but he knew it wasn't good. "How?" "Danny said he'd had the flu... sometimes it can develop from that, if the body's defenses are down." Mason leaned back against the counter. "It took some doing, but Danny finally admitted to me the hours he'd been keeping... Patrols every night, rain or shine, with no end of legwork during the day. He hasn't had a good night's sleep in weeks, you know – and he's been worried about you." "Yes, you. And I think I'm starting to see why." Rorschach tensed under his gaze. "Never asked him to. Never asked for his worry, or – " He broke off, teeth clenched. "Should have paid more attention to himself." Something flashed in Mason's eyes. In the near-hypnotic quiet of the kitchen, seconds passed in which he simply stared at Rorschach, shoulders tensed. Just as quickly his expression shifted and it drained out of him again. He sighed, passing a hand over his eyes. "Why?" He didn't even try to temper the scorn. "Think I need some kind of surrogate family in this?" Mason's eyebrows went up. "Oh, no. Nothing like that." He pushed slowly off the counter and moved closer, almost - almost leaning into his personal space. "I just want to know who I'm coming after if Danny dies." His voice remained calm – even conversational – but at last Rorschach could see the vigilante Daniel had chosen to emulate in the older man's eyes. And then the words hit him. "Die?" "He's practically drowning from the fluid in his lungs." The shadow of Nite Owl faded, leaving behind a greying man beset by worry. "He's dropped at least ten pounds, and he's physically exhausted. They've given him a slew of medications, but it's a guessing game for the next few days at least as to whether or not they're even the right ones." He shook his head. "They're doing what they can for him, but the fact is a lot of this is going to come down to luck." Rorschach knew about luck. Luck occasionally meant that a simple mugging led you to a new link in a crime ring, or that a cry for help could be answered in time. More often than not, though, luck meant the knife glanced off a rib instead of puncturing a lung, or you got loosened teeth rather than a broken jaw, or instead of a clean end, you got damage that lingered and took another piece out of you that you had to learn to live without. He had the scars to prove just what luck could bring, and now that might be all Daniel had. "...Kovacs." He looked up, meeting Mason's eyes. "Walter." The first Nite Owl nodded once, slowly. It was agreed that Rorschach would return in two nights, and in the meantime they would communicate via one of his message drops nearby. Rorschach was left having to trust Mason would keep his word not to use his new knowledge unless there was no other option. It was the thought of being tracked, more than anything else, that left him feeling unpleasantly exposed as he made his way down neon-lit streets and filthy alleyways. His name itself had nothing to do with his identity; Walter Kovacs was irrelevant - Rorschach was the one who mattered. Rorschach was the instrument of just retribution, while Kovacs merely offered a disguise. He knew it confused Daniel – maybe even upset him – that Rorschach had never reciprocated in giving a civilian name. Daniel, who was brilliant and skilled before he even had Nite Owl... his name had value. He would never understand that Rorschach had already given him what was worth having. A movement out of the corner of his eye gave him just enough time for fury at himself for woolgathering instead of paying attention to his surroundings. Then instinct took over and he twisted just far enough that the baseball bat aimed for his head only cracked into his shoulder. There were two of them – more gang members like the ones who'd escaped, he saw, as bright pain lanced down his right arm. Instead of staggering back, as they apparently expected, he held his ground and lunged back up to grab the bat with his left hand before another swing could be taken. Snarling, he wrenched it down and leveled a kick below its owner's knee. The joint gave a satisfying crunch as it gave way, and served the additional purpose of giving the second man pause, who he now saw had a knife. He hefted the bat, ignoring his still-useless right arm as he turned to his second target. He saw the other's uncertainty turn to fear as he advanced, and reveled in it. He easily dodged as the knife half-heartedly swung at him, and retaliated with a blow across the gang member's arm that sent the knife clattering under a dumpster. The thug howled in pain and doubled over, cradling his arm. Another blow to the back of his head put him on the ground. 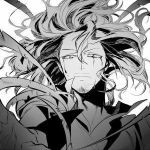 He suddenly came back to himself, looking down into the terrified eyes of the knife-wielder, who had regained consciousness and was now on his back. The man was frozen, his bludgeoned arm lying limp across his chest, looking up at the bat in Rorschach's hand which he had somehow swung up over his head. He realized he was breathing hard, and pain was jolting through his right arm as the initial shock wore off. He thought of his earlier failed pursuit, and where it had led, and suddenly felt the weight of the past twenty-four hours crushing down on him. He needed to be away from here. He needed to think. The man at his feet was gibbering now, pathetic in his cowardice when only moments ago he'd tried to put a knife into him. Rorschach lowered his arm, his lip curling as he looked down at him. A confused, cautious hope crossed the other man's features and Rorschach was abruptly overcome with loathing. Seeing only the scum he and Nite Owl had fought, knowing how many more he had yet to fight, he brought his boot down on the man's good arm where it lay on the pavement, feeling bones give way under his weight. Turning, he tossed the bat aside and stalked away from the sound of screams. Back in his apartment Rorschach flexed his right hand, willing away the pain. The reflection in the mirror showed a black bruise spreading from the back of his shoulder to the front – his entire upper arm and more would likely be discolored before long. He had no ice to put on it – there were cold packs in the Owl's Nest, but not here. He did have some aspirin left in his own small first aid kit. He regarded the dwindling supply and considered taking a dose, but just as quickly decided against it. The bruise would spread faster, for one thing, and he didn't know when he'd be able to get another bottle. His windowpane rattled in a sudden gust of wind, letting in icy tendrils from outside. Rorschach looked at it a moment, then gingerly pulled his day shirt on and moved to the window. The fog of his breath on the pane confirmed his thought, and he carefully leaned as much of his injured shoulder as he could against the cold glass. The position was awkward, but effective. The shirt covered his injury; from outside, he would look like just another layabout. He would have to change his strategy for patrols. Where he and Nite Owl could follow a similar path night after night, he would have to be unpredictable. Word was obviously out about Nite Owl falling ill, and Rorschach had made enough enemies in the criminal world to be a tempting target. They all forgot that he had begun by working alone, that he was perfectly able to take care of himself. He heard their taunts, their whispers, that Nite Owl – larger, armed, more overt in his methods – was there to take care of him, to protect him. That Rorschach was somehow soft and helpless on his own. Stupid, all of them. They'd find that out soon enough. Around him the building was slowly waking up. It was a Saturday, which tended to start later, but the basic patterns were still there. The blare of cartoons filtered in from one side, while drawers and cabinets opened and closed on the other. Someone was knocking on the door to the common bathroom down the hall – the water in the shower was no doubt cold already. Shouts and curses from above confirmed that the couple upstairs had begun their daily cycle of mutual abuse. Awash in their noisy banality, he briefly wished for a top-floor apartment, maybe one at the end of a hall. He would have only one neighbor to hear then – maybe two. Roof access would be easier as well, farther away from prying eyes. The faint smell of cooking bacon wafted in from somewhere, and his stomach clenched tightly around its own emptiness. A quick calculation told him he could afford something for breakfast, but sleep had to be dealt with first. It was still too early for the stops he needed to make, and he wasn't nearly as focused as he needed to be. He realized that in addition to daydreaming, he'd been staring down at the alley below without really seeing it. Not that there was much to see... Just piles of rot plastered with rain-wrinkled posters and graffiti. Vermin crawled in and out of the refuse of daily routines and guilty habits, and he could only think how aptly they resembled their human counterparts. His shirt was growing damp from the window's condensation and the pain was now something he could absorb into the background, so he straightened and made his way to the bed. Normally he slept on his right side, facing the door. Sleeping on his back would still require him to roll onto that side should he have to rise quickly... Scowling, he took the chair from his table and leaned it up under the doorknob as a barricade. He then tossed the pillow to the foot of the bed, tugged the sheet up to cover where it had been, and reluctantly lay down on his left side. He couldn't afford to favor his injured side for long; he would have to mend quickly. The words woke him, matter-of-fact and shocking as he uttered them. The dream was already fading into amorphous shapes and the remnants of unease, leaving him to feel quizzically embarrassed about having said such a thing. Irritably he rose, testing his shoulder and finding it no worse than before. He glanced at his watch and saw that just over three hours had passed. He'd slept long enough. His shirt was still damp and stuck unpleasantly to his skin. The only other shirt he had got torn during patrol last week, and he hadn't fixed it yet. There was nothing for it – he mentally shrugged and reached for his jacket. The motion and weight of the garment made his right arm complain loudly and he suppressed a wince. Berating himself yet again for his idiocy, he put it through a slow rotation, deliberately pushing just past the point of discomfort until the spikes of pain dulled and became predictable, and then carefully finished putting on the jacket. After double-checking that his things were secure, the chair went back into its place and he opened the door. There were still a few small bills in his inner pocket – enough for the next few days, at least. He remembered rent was due in two weeks, and he would have to decide if paying it was worth more than moving somewhere cheaper. Walking down the hall with its stained floorboards and grubby paint, hearing the chatter of televisions and too-loud voices behind paper-thin walls, he reflected that there was nothing here he couldn't live without. A cheaper apartment would be dirtier, noisier, less secure... but the landlord would likely care even less about his comings and goings, and it would put him at an even better vantage point to monitor the scum who polluted his city. Moving might be the better option. The street embraced him in its familiar daylight wave of impatience and exhaust fumes. The greys of asphalt and soot-stained brick blended into the slate-grey sky overhead, everything blurring together into one huge polluted smudge. The wind threatened a storm, so he pulled up his collar and jammed his hands into his pockets, entering the oblivious current of pedestrians. They instinctively flowed around him without seeing him at all. Once, before he finally learned who he really was, he was subject to the same jostlings and awkward sidesteps that everyone suffered on these sidewalks. Not anymore. He moved among them, gauging and dismissing them one by one, until he reached a tiny shop tucked in among the other dingy storefronts in his neighborhood. It was part bakery and part sandwich shop, barely large enough for its own stock much less the endless stream of customers passing through it. The food was inexpensive, and reliably the same regardless of time or date. Warm, filling – it was neither stellar nor awful, but it never promised to be something it wasn't. The aging couple who ran it, as nondescript as the fare they offered, rarely looked up from their eternal motions of preparation, sales, and cleaning. They moved with the blind certainty that years of the same actions bring, never wasting time with idle chatter or empty platitudes. Rorschach took two of the cheapest pre-made sandwiches they had, put his money into the waiting hand that extended from behind the counter, and left without having to utter a single word. He ate the first sandwich as he walked, pocketing the other for later. His first errand was mildly irritating, but there was no denying his ignorance of his partner's true condition. He needed to know more, and his best option was the library. Thankfully, the one near where he lived was large and well-kept. More than once it had given him valuable insights - on abandoned subway tunnels used by gangs; on means of smuggling materials (or people) in and out of the city; on ways of treating – or causing – damage in a fight. It was one of the few ways this city actually helped him in his work, and he used it to the fullest. As always, the quiet inside held its own atmospheric pressure, muffling and effectively fending off the chaos outside. The smell of old paper and decades of wood polish twined around faint echoes of footsteps on marble and endless pages quietly turning, and his posture relaxed the slightest fraction. It would be well over an hour before checking his message drop would be of use; the number of medical tomes listed in the card catalog assured him there would be plenty to occupy that time. It was approaching midday when Rorschach emerged from the depths of the library's medical section, leaving behind scattered piles of texts and journals that would give the librarians fits to put away. He'd scoured page after page of medical jargon, only to find he hadn't made much headway at all. He'd gathered that Mason's information had at least been correct, which really only confirmed the older man's thoroughness and honesty, and that Daniel's choice in mentors had been justified. On the other hand, the data he'd read told him that Daniel truly was on his own for recovery. The only advantage a hospital held was the vague possibility of help if his condition worsened, but they would only be treating symptoms - not their cause. Even so, at least Daniel's money would get him better treatment than he might otherwise have – Had Rorschach been in his place, he would have waited in an emergency room for hours if not longer, been given some cheap drug that may have just as easily been sugar pills, and been sent on his way to heal or die on his own. Back on the street, he continued toward his message drop. There was a newsstand along the way, followed by a short series of bus stops. Keeping alert as he passed, he was rewarded with a discarded weekend edition of the New Frontiersman lying abandoned on a bench. He swept it up, then walked past the waste bin that served as a message center in his investigations. There was nothing of note in it yet, though the half-full accumulation of garbage was favorable in its own way. While he valued the anonymity this method offered, digging in trash containers brought about its own amount of attention. Off to one side there was a diner that afforded a good view of this spot, as well as bottomless cups of coffee. That, along with his newspaper, would allow him to stand watch as long as he needed. The waitress for his section was young, wearing too much makeup and a shirt cut half an inch lower than it should have been. The dirty look she gave him said she knew he'd only be ordering coffee, and she'd be neglecting his table as much as she could get away with. That was fine – preferable, really. Less distraction from his watch. He gave the front page a perfunctory scan, then turned to the classified ads. The gang he and Nite Owl had been following were using this paper and others to communicate, and he only needed a few more samples to completely crack their code, he was certain. Outside, the streams of people and cars continued unabated, hurrying blindly on in the chill air. He thought he heard thunder, and soon after that the pavement grew wet with a slow spatter of rain. The waitress passed his table and forgot not to make eye contact, so his glower forced a surly refill of his coffee. Time passed. Slowly the margins of his newspaper filled with notes, with various sections marked for reference or as possible leads. His half-cup of cold coffee became a full lukewarm one at shift change, when a slightly less jaded but no more appropriately dressed young woman took over for that section. He automatically poured in more sugar, noting how little was left in the dispenser as he did so, when a figure outside caught his attention. It was raining hard now – fat, cold drops that shrank people into themselves and hurried them along to escape the pelting misery of it. In the midst of the rain's curtain, contrasting slightly with the rush around him, a hunched figure walked toward Rorschach's message drop. There was no way to identify the stranger for certain – his hat and coat were both generic enough to belong to nearly anyone – but he moved just half a notch slower, more deliberately, which was what had called attention to him in the first place. As he watched, the man paused to take a pack of cigarettes from his pocket. Turning his back to the weather, he lit one and stood for a moment while he took a few drags. As Rorschach watched, he crumpled the now-empty pack and tossed it into the trash bin. Taking one more drag, he then merged back into the rain-soaked press of the crowd. Forty minutes later, after no sign of anyone else approaching the drop or following the other man, Rorschach carefully folded most of his newspaper into his jacket, laid some money on his table, and made his way to the door. He still held one unmarked section of the paper in his hand, and this he took with him to the trash bin. Reaching down, he deposited the paper while palming the empty cigarette pack. He moved on, hands in pockets, hunching his shoulders against the rain. A quick check inside his pocket confirmed the crinkle of more than just the cigarette wrapper under the cellophane. Setting his jaw, he turned the corner for the walk back to his apartment. The concept of moirallegiance from Homestuck grabbed me by the scruff of the neck and gave me a good shake, and this is what happened. I remember this! Every now and then, I toy with the thought of going back to the kinkmemes and cut and pasting the whole thing onto documents to read whenever. I miss it! Oh, I miss it too! I went through and copypasta-d some stories from there but there's so much of it... it's still kicking around on Dreamwidth, but much more slowly. Aizawa fidgeted so anxiously on the bullet train that the people around him shuffled back, trying to distance themselves from the weird, dark and scruffy man shifting about from where he stood. He gripped the handlebar so tightly his knuckles turned white, his breathing slightly faster than usual. The cause of his great anxiety was that you were awake. His wife was finally awake. You were finally awake and you were asking for him. Aizawa burst from the train and ran down the four blocks, hardly breaking a sweat as he raced to the hospital. There wasn’t a moment to lose, he told himself, over and over in his mind. You must have been so rattled to wake up in a strange room, surrounded by strange people. Doctors and nurses you didn’t recognize with tubes and needles connected to your body, and with nobody you knew to explain the situation. You must be so scared, he thought to himself. It was motivation to push himself further.